While it can be difficult planning for such things, wills and trusts are necessary parts or your estate. You’ve worked hard to protect your assets throughout your life – continue to do so with legal protection. Whether it’s monetary holdings, property, or sentimental items, you have a say in where they belong. 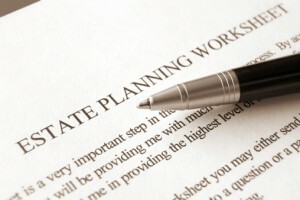 A properly drawn estate plan will provide that service for you and your family. At Conner, Lawrence, Rodney, Olhiser & Barrett, LLP, we provide clients with the tools and knowledge to make informed decisions. From wills and trusts to trust administration, we work to ensure your estate is handled just the way you intended. As your family dynamic changes through birth, death, marriage, or divorce, so should your will. It’s a good idea to revisit and edit your will as needed to include or exclude anyone or anything. An outdated will may leave out valuable items, monetary assets, or more, leaving your family and loved ones scrambling to decide what to do. With updated and legal documents, your wishes can be laid out in plain text, and help avoid any unnecessary stress during an already difficult time. If it’s been awhile since you’ve made changes to your will or if you need to draft your first, let us be the ones to help. Our goal at Conner, Lawrence, Rodney, Olhiser & Barrett, LLP, is always to make our clients feel supported and cared for, even in the most challenging of times.